If you’ve got friends who use iOS, there’s a good chance that at least one of them uses Instagr.am; for the uninitiated, the app takes a lot of the work out of photo editing and sharing. 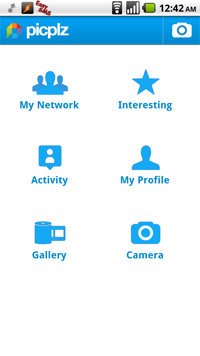 Users can take photos, apply effects and publish photos to social networks like Twitter and Facebook quickly and easily, which, for some, is an asset. Not all of us have the time to bring up Photoshop if we just want to convert things to black and white. 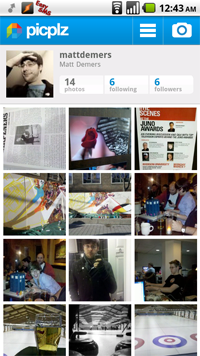 Though Instagr.am doesn’t have an Android app, it has something that’s similar. PicPlz achieves the same functions and more; in addition to Twitter and Tumblr, users can automatically add their photos to a Dropbox account. This makes it very easy to transfer photos off your phone without connecting a cable, and eases the process of viewing them later. Users can use the app to comb their contacts for friends who also have PicPlz installed; they can, in turn, be added as “friends.” An in-app timeline lets you know what your friends have been up to with the ability to comment. This turns PicPlz into its own social network, but really, why would you use that system when you’re going to be posting to Twitter, anyways? PicPlz has many of the same filters as Instagr.am, which is the main appeal; primarily, I’m using the faux-high-definition filter due to its ability to make my pictures look a little more detailed – at least at lower resolutions. Blown up it looks a bit off, but for Twitter, it’s alright. If you don’t use a camera replacement, PicPlz is for you; it doesn’t add any new features to the camera itself, but makes it easy to share photos quickly. However, if you want to just snap and forget, the default camera might be a better option, as having to navigate filter and posting menus can be annoying. 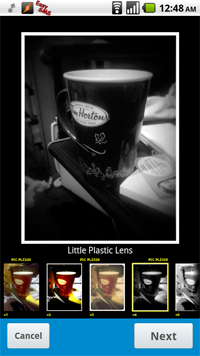 PicPlz is a free download, which is great. You can find it on the Android Market. Matt Demers is Droid Life’s app guy, and staving off strep throat at the moment. Good vibes on Twitter or e-mail would be appreciated.